John Amico is proud to announce that they have also partnered with internationally known Make-Up Designory to become a Certified MUD Partner School and offer courses from their studio course series. 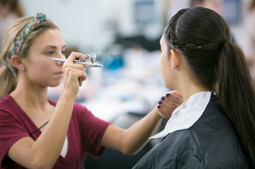 From its humble beginnings, Make-up Designory has grown to become the largest educational system exclusively focused on make-up artist training. A strict adherence to educational standards, curriculum development and teacher training has helped to create a standard form of make-up education that can be found in classrooms around the world. The same curriculum, high standards and MUD-certified teachers can be found in MUD's main campuses in New York and Los Angeles, through their network of partner schools operating in the United States or internationally in MUD Studios. In the classroom aspiring make-up artists and other beauty professionals are taught the fundamentals of make-up application and the theory necessary to adapt make-up techniques to differing conditions - from the retail floor to a film set to a bride's special day. Courses are derived from the same curriculum that can be found at Make-up Designory's main campuses, but are divided in such a way as to allow the student to progress through the various subjects at their own pace. 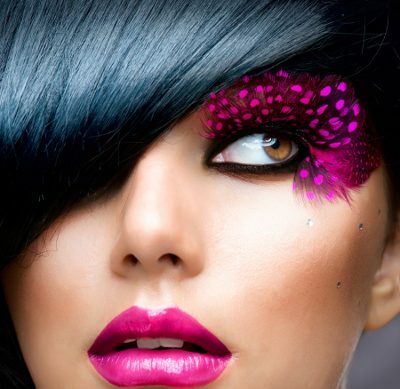 The courses are divided into three levels: Level I is comprised of Beauty Essentials, and the completion of this course allows the student to move on to the classes that comprise Level II, which include classes in Airbrush Make-up, Bridal Make-up, Studio Make-up and High Fashion Make-up Trends. The final phase is Level III, which consists of Essentials of Hair and Portfolio Development. One of the unique features of the program is that students are able to not only choose courses that they feel will benefit them, but to take courses at different locations in varying cities throughout the world. While the courses remain the same at each MUD Studio, Partner School or Main Campus, traveling to different MUD locations allows the student to add culture and life experiences to their make-up education and artistic expression. Today’s beauty professionals need to know more than hair and skincare, they must be competent in all aspects of their craft. For this reason, Make-up Designory has created a group of classes in make-up artistry to help students of cosmetology and esthetics and licensed professionals meet the full needs of their clientele. The courses are held conveniently at the MUD”s main campus, internationally at MUD Studios and proudly at John Amico School of Hair & Design as a certified Partner School. MUD Studio courses are based on the same great educational methodology and teacher training that has helped to make Make-up Designory a bedrock in make-up education. The makeup courses are pulled from the same curriculum that comprises the longer programs at MUD’s main campuses in Los Angeles and New York, but are broken up into smaller modules. These modules can be taken separately or combined, allowing the student to transfer their education to one of MUD’s main campuses. This course is designed as an introduction to beauty make-up with an emphasis on the techniques required today in this multi-faceted industry. Regardless of which of these areas students intend to work in, mastery of beauty make-up is a must. In this course, students will start by learning facial analysis, base matching and application, correction, and contours and highlights, with an added focus on eyes and lips. The course finishes with complete make-up applications ranging from one hundred percent corrective to natural make-up. Color – Students learn how to formulate and develop professional color and learn all the different applications, foils, highlights, low lights, overall color, touch ups and blocking. Keratin – Learn how to apply the Keratin straightening systems for all hair types and learn several different formulas. Sew-In/Braiding – Learn various braiding patterns in order to do all types of Hair Extensions, some of the methods are strand by strand, keratin strips, glue ins and beading.